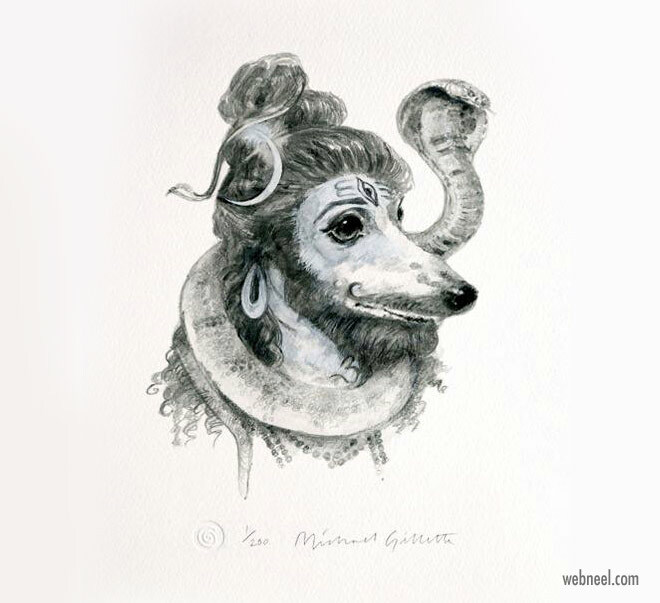 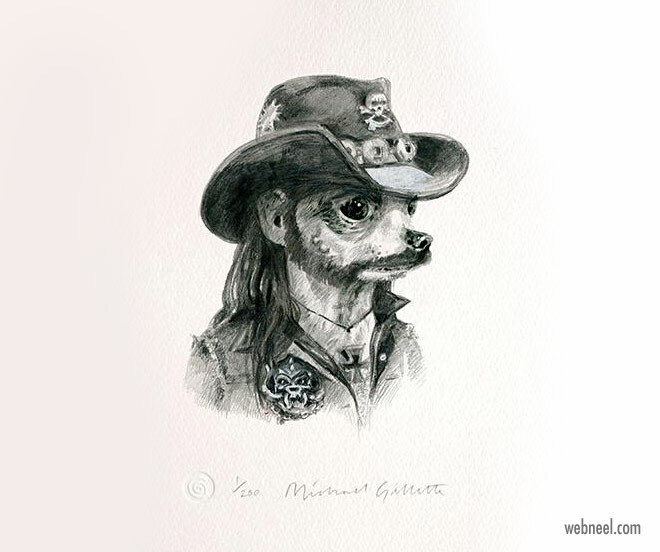 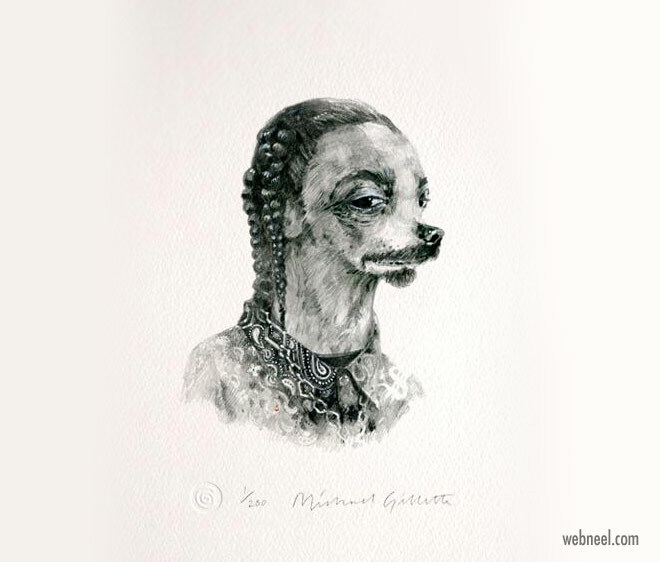 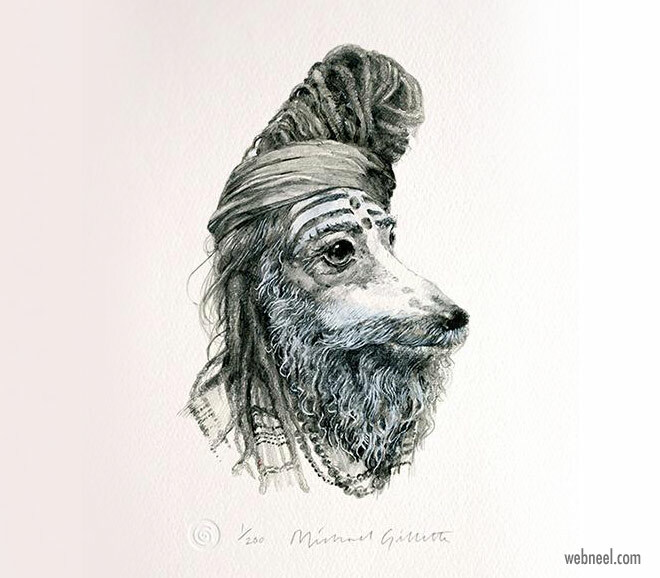 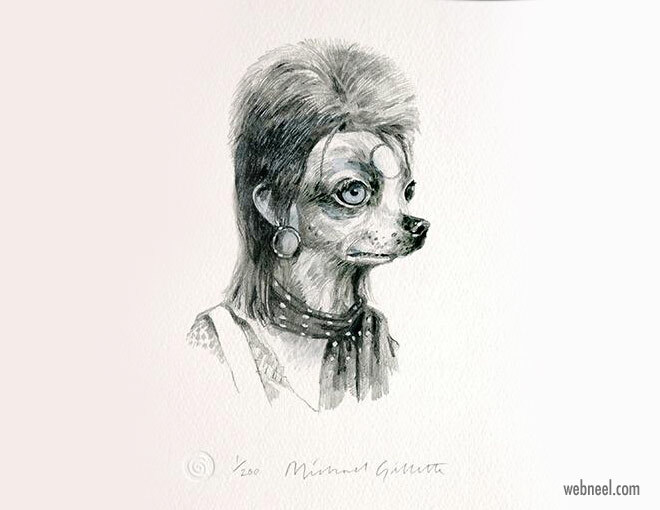 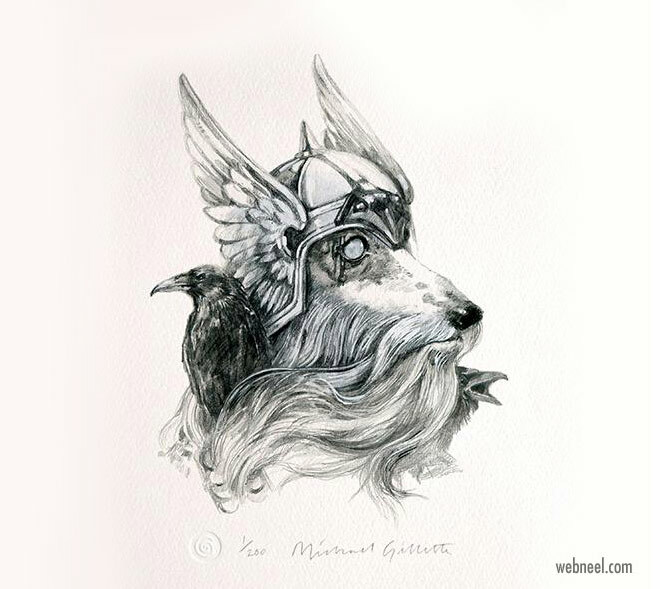 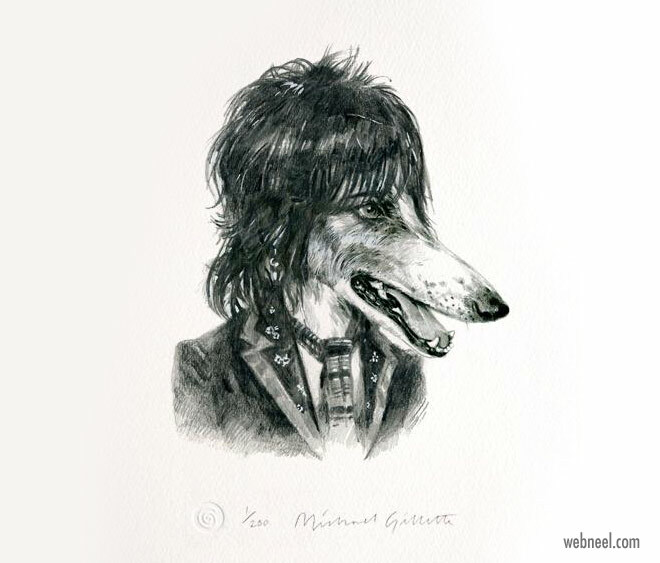 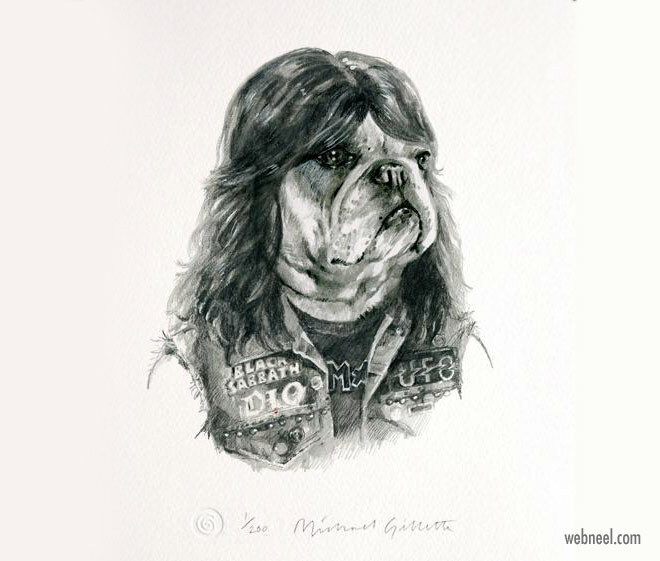 Look at these really funny dog drawings created by the artist Michael Gillete. 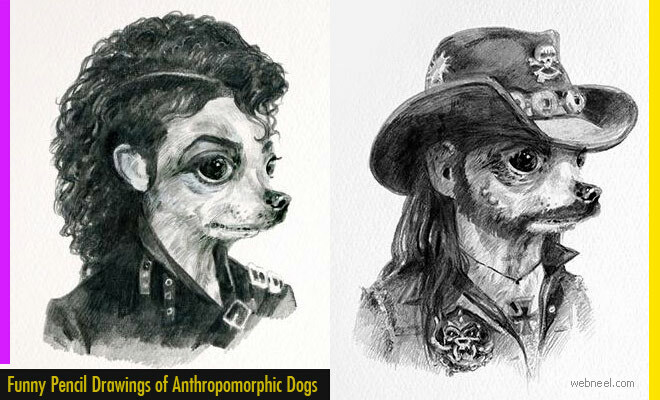 Dogs like hounds, chihuahua, bulldogs have been converted into these funny dog drawings featuring celebrities, Gods and more. 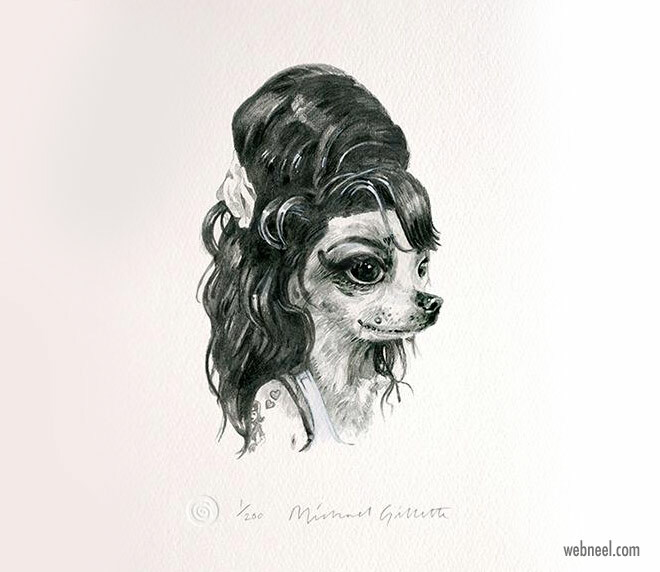 The artist Michael Gillete proves through his dog drawings, that any pet dog of yours can be instantly turned into funny dog artworks. 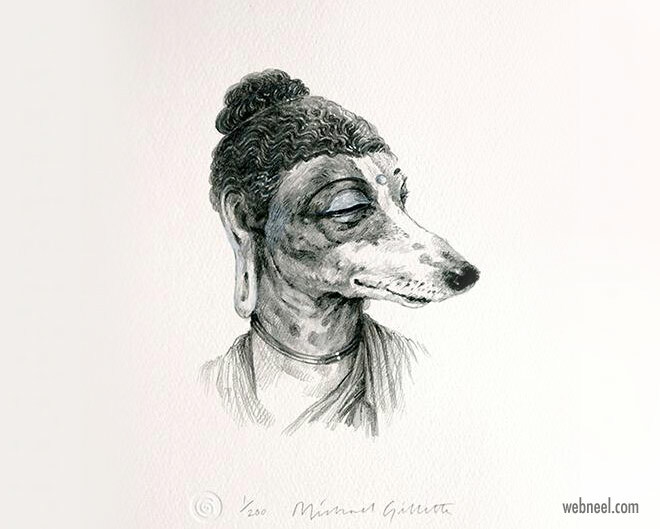 The dog drawing ideas is from his 'Year of the Dog' series. 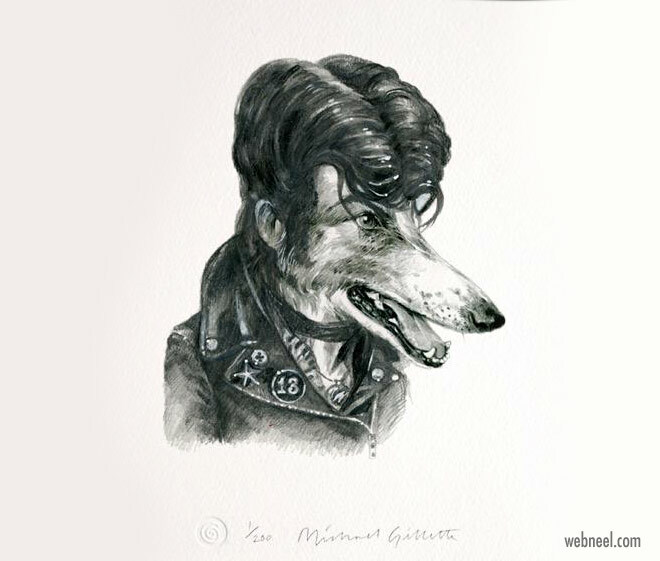 The dog artworks are carefully detailed and we absolutely love the shades and lighting incorporated into the art. 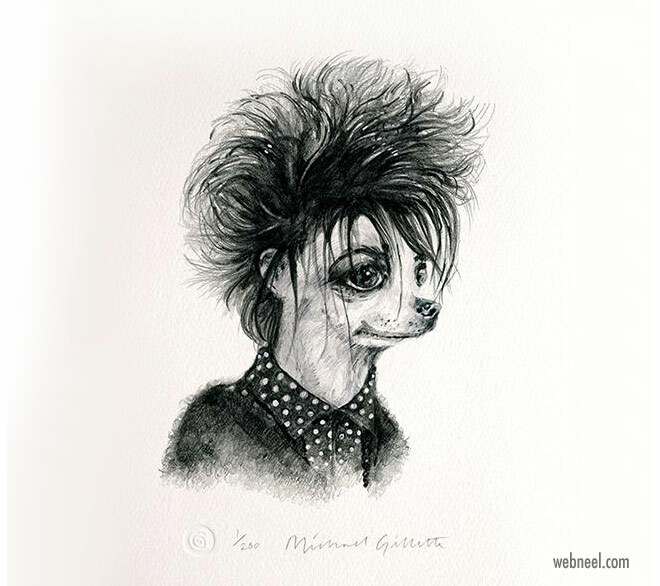 Let us know your favourite dog drawing from this really funny series. 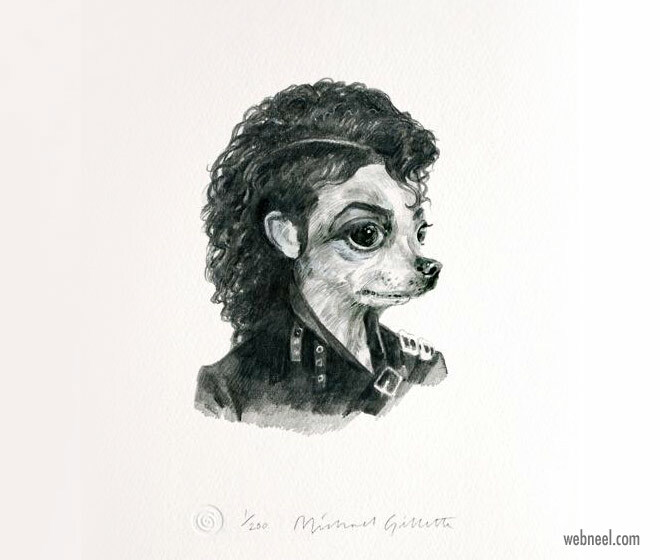 If you like these funny dog drawings, you purchase them directly from the artist's website. 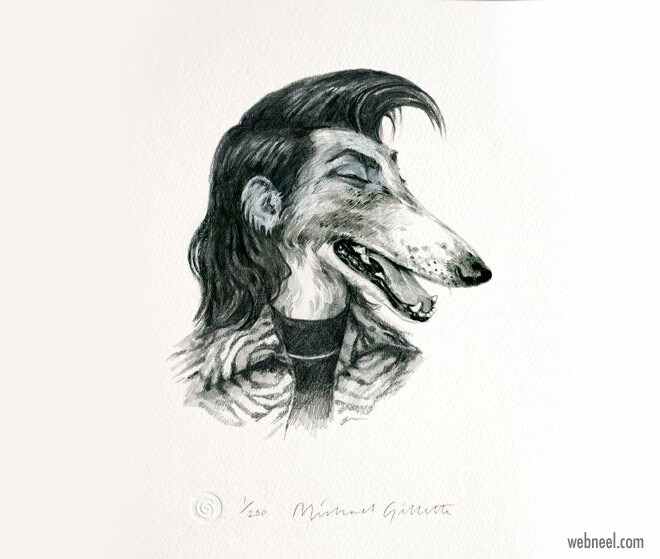 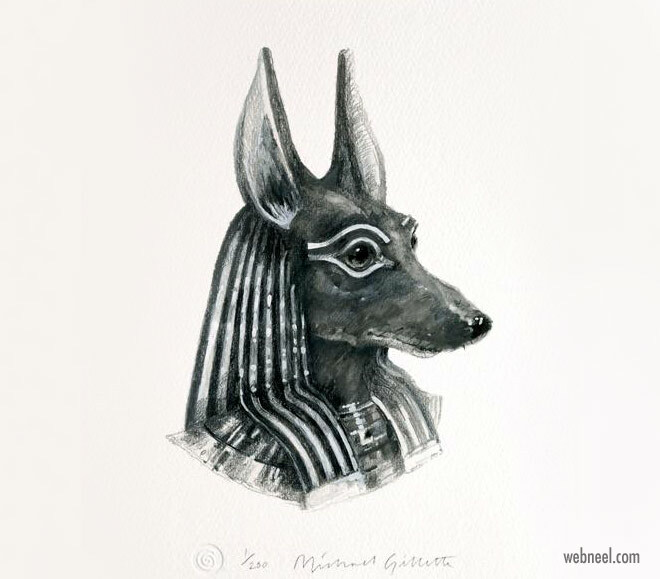 The funny dog drawings are all limited edition version, so grab your before they disappear.